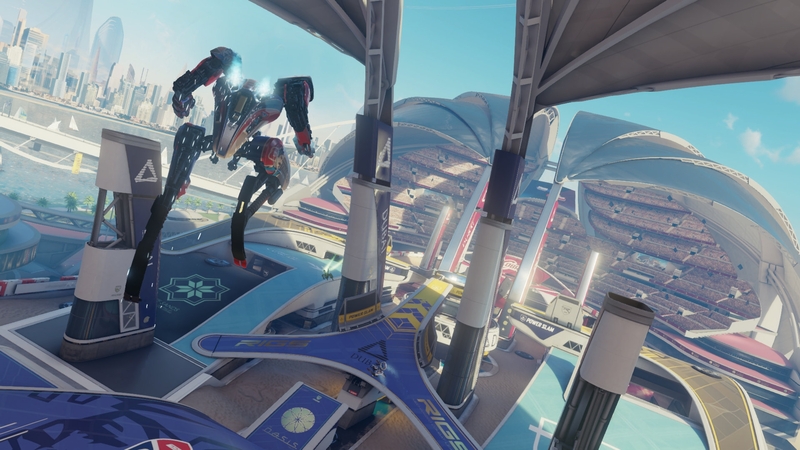 RIGS: Mechanized Combat League has been one of the PlayStation VR’s showcase games dating back to its Project Morpheus days. The folks at Guerrilla Games know how to make an exciting shooting game and their pedigree with the Killzone franchise has taken them to new heights with RIGS. 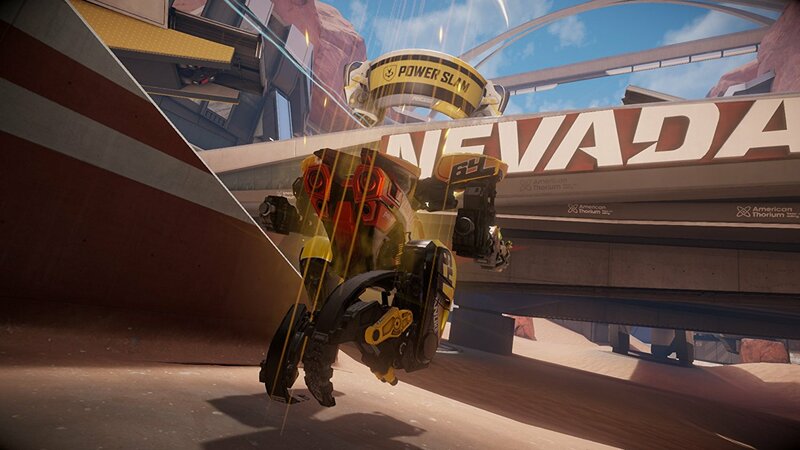 RIGS is easily one of the highlights of the already-stacked PlayStation VR lineup and provides a mix of sports-themed thrills with FPS excitement. It’s a perfect way to show off how immersive VR can be and the best game out of the launch lineup we’ve had a chance to try out. RIGS aims for a true team sports feel from the start, with you picking a team, allies, and even taking on sponsorship deals. This setup keeps competition in the forefront of your mind — but unlike most shooters, it’s a friendly competition. There are no kills — players are just ejected from their RIGS (basically their exo-suits) and put back in at a chosen respawn point. If you want an extra edge with strategy, you can choose to see all of this in real-time to get an idea of where enemies are. Otherwise, if you feel a bit overwhelmed by it, or just want a sense of mystery, you can have that portion obscured and just regain control and your view upon landing. This is a fast-paced game, but one that gives you a lot of control options to suit your fancy. You can invert controls if you want, or aim with either the right stick like a regular console FPS or use your head. 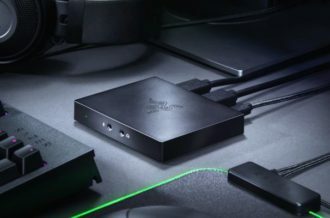 As someone who loves twin-stick FPS play, I found that using my head didn’t just give me a 1:1 mouse-style control, but it made the experience far more enjoyable. My aim improved quite a bit and having one less thing to keep track of by not always using the right stick helped immensely. Using your head to control your aim allows you just use R3 for fast dashes and melee attacks. Much like Titanfall, maneuverability is key and you can use your melee for a mid-air dash to gain on-field pickups or slam into enemies violently. 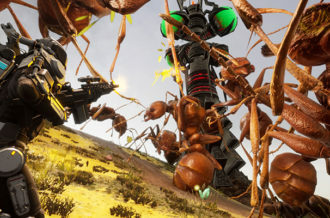 RIGS gives you a variety of offensive and defensive skills in the arena. Triangle activates a repair mode, while circle activates an impact mode that allows your attacks to do more damage, and square enables turbo mode — giving you a speed boost at the expense of accuracy, but enabling you to then run for cover if you need to heal up. Every score you get nets you some orbs to collect, and collecting enough of those sends you into overdrive where all of these modes are activated at once. This applies for both the traditional team deathmatch-style mode and even the American football-influenced mode that gives you endzones and touchdowns to worry about in addition to the usual threat of being killed. As expected, this is a thrillride and something that gives you a sensation of power — although you can still be taken down, so you can’t get arrogant. Careful play will help you out both off and online. 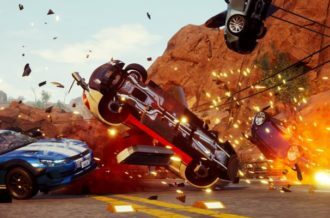 For those looking to jump right into the action, RIGS and its lengthy tutorial may not be what you want — but you’ll be grateful for it later. It teaches you the ropes and will allow you to at least do reasonably well online even if you skip doing anything offline. This aspect of the game also reminded me a lot of Titanfall where you’re taught the basics, how to string those things together to do well, and then excel with strong teamwork. Assists give you a nice XP gain and will open the door for more sponsors if you do well enough. RIGS looks fantastic, with strong texture work throughout most of the game. In the heat of battle, nothing stuck me as looking out of place and there never any motion sickness issues even with fast action and explosions going on all around. The only time the textures seemed iffy was during the intro scene where the RIG suits walk over you and beyond giving you a WOW moment as they pass overhead, you can also see some blockiness in the textures — but it’s never something you’ll see during the core game. Framerates are smooth and online play was outstanding, with every play session going off without a hitch. The game’s short halves make it perfect for pick up and play sessions too — and for a VR game, that is incredibly important. 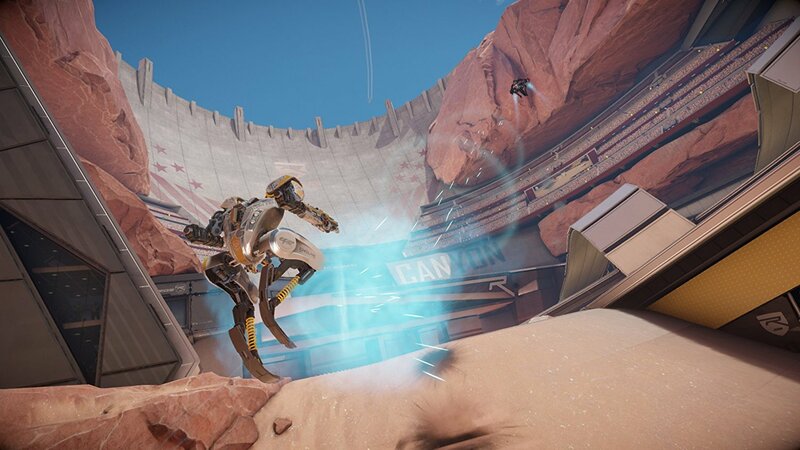 With a sports-like feel dripping from its commentary and team-based play, RIGS is a fantastic first-person shooter that works in either short bursts or for longer play sessions when you get in the zone. 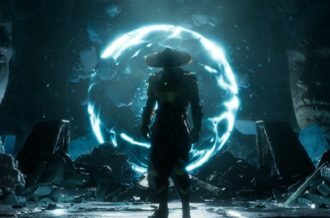 It gives you a sense of awe that no other game in the PlayStation VR launch lineup can rival, offering the most rewarding gameplay as well. 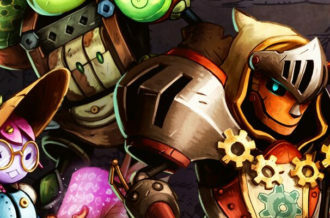 There’s a lot to learn and quite a bit of nuance to the gameplay — but it’s all fun and rewarding. 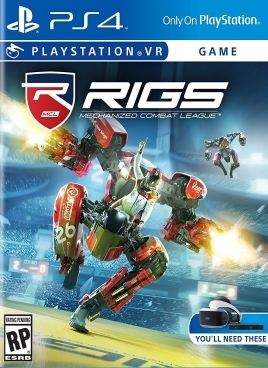 If you want to see what PlayStation VR is capable of in terms of providing a top-notch gaming experience, check out RIGS as soon as you can.